To continue our little DIY Smart Home series I’d like to introduce you to one of our new best friends. – Meet nest. 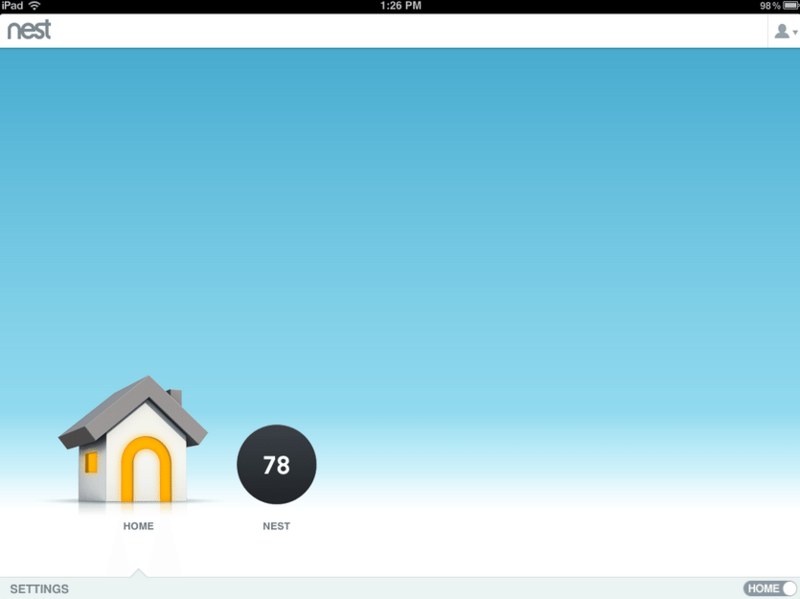 Last week we talked a bit about Mission Control – the user interface of our DIY Smart Home setup. Now let’s get into the brains. First of all, let me begin by saying that never in a million years did I dream that I would ever get excited over a thermostat. 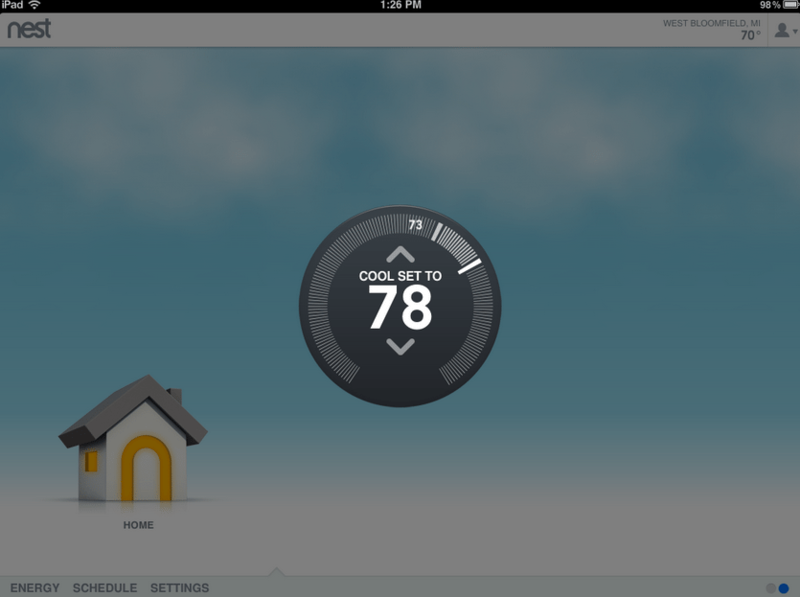 For real people… a thermostat. To be honest, I had trouble even remembering where the t-stat was at my parent’s house growing up. It just was’t something that I cared to show people. It wasn’t really even something that I cared to be proud of. Well let me be the first to tell you – it all changes when you get a nest. It’s beautiful – so you want to show people. It’s different- so you want to show people. It works better than any other t-stat on the planet- so you want to show people. It’s simple, it’s intuitive, it’s smart… the list goes on. Installation was an breeze (no pun intended). All it took were two screws into the drywall. Made simple by the built in level. Connect your HVAC cables (which are clearly labeled and easily accessed), slap on the front cover, and voila – it powers right up. Walk through the very simple on screen instructions and you’re good-to-go. 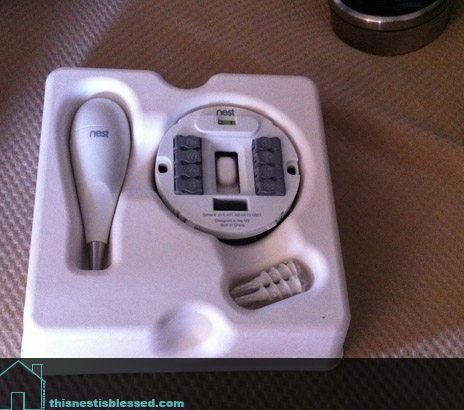 Why do I swear by nest over all of the other t-stats on the market? – beauty, functionality, and ease of use. Not to mention the app is gorgeous as well. It even gives you detailed information like humidity levels in it’s “at a glance” menu. 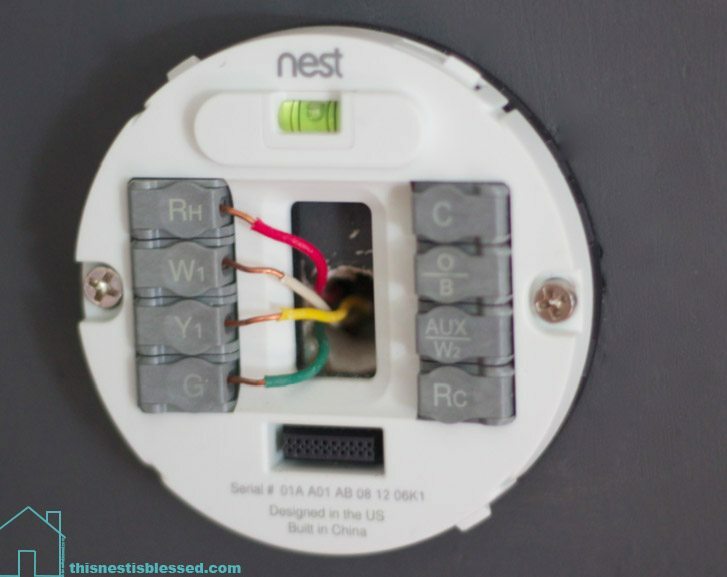 To be perfectly honest, nest wasn’t our first choice… K and I decided to try and save a few bucks when we began this DIY smart home adventure and purchased one of these guys. Bad move. It doesn’t make my coffee in the morning. But hey, it’s a thermostat. 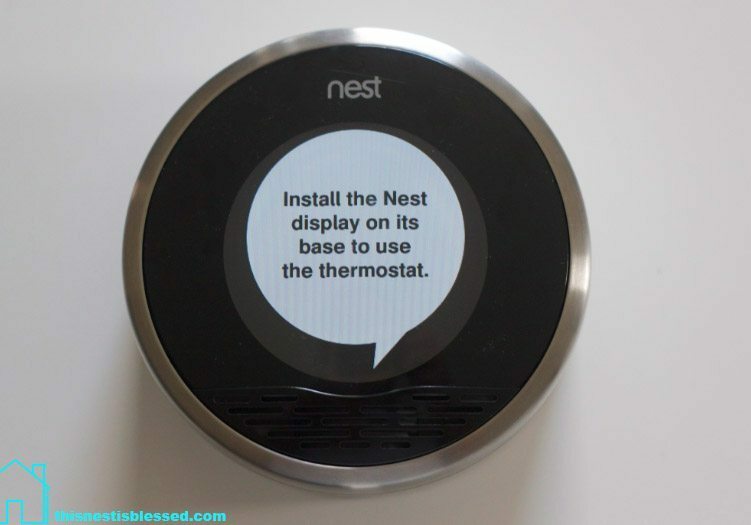 Own a nest or other smart thermostat? Let’s hear about your experiences. The good, the bad, and the ugly. I also have a nest and I absolutely love it! !